Full service design build company specializing in custom stone work and hardscaping. A.W. Miller Masonry is a full-service, family-owned-and-operated masonry contractor specializing in custom residential work. For quality masonry work completed on time, and within budget, look no further than A.W. 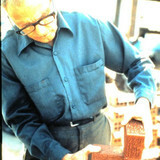 Miller Masonry. Backed by more than four decades of experience in the industry, our contractors handle all your masonry needs with professionalism and expertise. *Authorized Techo-Bloc Dealer* Incorporated in 1946, Delaware Brick Company began as a manufacturing plant in New Castle, DE. Founded by John G. Schauber, son of the original owner of the Chestertown Brick Co. in Chestertown, MD, Delaware Brick Company is still owned by the Schauber family. We manufactured our own brick and distributed brick from other manufactures primarily from North and South Carolina, Virginia and Pennsylvania. In the 1950’s, the corporation opened a sales office in the Wilmington area referred to as Prices Corner. In the 1960’s, we expanded again with a sales office in Dover in order to be of service to the entire State of Delaware. This expansion allowed us to strengthen the commercial market within our industry. It was in 1979 that we ceased the manufacture of brick from our local plant, and focused our commitment to representing brick and stone from major manufacturing sites from the entire United States. As we secured these exclusive rights to represent brick and stone in the State of Delaware, we were then able to grow our business into the State of Maryland with a strong presence in both the commercial and residential market. In 1994, we opened our sales office in Chestertown, MD with a division known as Chestertown Brick & Tile as well as in Easton, MD with a division known as New Brick & Tile. In our 63-year history, the expansion of our four yards has allowed us to represent our brick, block and stone products into the area from Delaware County, Pennsylvania throughout the State of Delaware and the Eastern Shore of Maryland. With more than twenty-five years of experience and the capacity to handle any size project, Seal Pro Paving is the best choice for efficient, high quality, and cost-competitive paving, seal coating, and pavement services. From driveways and sidewalks to shopping malls and theme parks, we have expertly paved, maintained, repaired, and replaced all kinds of concrete and asphalt surfaces over the years. We have the experience and expertise necessary to complete any paving job in a timely manner with excellent results. Commercial, Industrial, and Residential Services A clean and well-maintained pavement around your commercial facility, whether it is a parking lot, driveway, or path, contributes to a professional image that invites customers to patronize your business. 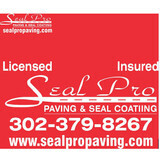 Seal Pro Paving has been working with local businesses for over twenty-five years installing, maintaining, repairing, and replacing asphalt and concrete pavements for office buildings, retail centers, and other commercial properties. We provide a full range of high quality commercial paving services, including design layout, new paving, crack sealing, emulsion seal coating, resurfacing, striping, speed bumps, and more. We even offer emergency pavement repair service. Holland Mulch, Inc. is a family owned and operated wholesale retail and recycling center. The company has been in business since 1994. 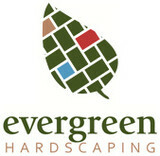 We specialize in recycling green waste to make a premium decorative mulch product. We pride ourselves on having the best quality product for the best possible price. We also have a variety of dyed mulches, screened topsoil, decorative and quarry stone. Elliott Concrete & Masonry, LLC. When you need concrete replacement, masonry services, or waterproofing, call in Elliott Concrete & Masonry, LLC to ensure you get the quality of service you need. No corners will be cut and you will benefit from a meticulous attention to detail, as well as a friendly, experienced staff. For all of your driveway needs, call Driveway Man! Quality site development, foundation construction and flooring! Installation and workmanship are impeccable. We provide valuable problem solving solutions with a high level of expertise. Contact us for a smooth and successful project! Our mission is to provide the finest quality work, materials, and service to clients who are seeking authentic, creative, and individualistic stone work. By doing so, our company also makes a commitment to keep the tradition of stone masonry alive. Our company offers all stages and types of masonry construction, ranging from foundations to finish work. We specialize in creative and artistic stonework, and are pleased to provide our clients with the highest quality in this specialty area. The examples in our portfolio reflect the varied styles of masonry and the diverse types of natural stone that we utilize for our projects. These projects include patios, ponds, pool decks, walkways, waterfalls, terracing, retaining walls, bridges, wine cellars, chimneys, and fireplaces. We are able to customize any job to accommodate client wishes and needs. For the most part, people hire a stone or concrete contractor for large installations like driveways and walkways, or for home facades and exterior columns. These brick, pavers or stonework installations can add lots of functionality and visual curb appeal to your Delaware home. Pavers come in a wide variety of colors, shapes and sizes, and the right vendor or specialist can help you choose a color and design that complements your existing landscaping. From installing new exterior columns to repairing your chimney, masonry contractors can help you add both visual appeal and value to your property. They’ll know what kind of installation makes the most sense for your Wilmington, DE climate and regional style. Looking for something that will develop a patina with time? Or would you rather have your home feel brand new for years to come? Choosing the right kind of stone involves thinking about the future, too. Experienced brick suppliers and stone suppliers can help you find the material that will work for your home now and for years to come. These professionals aren’t limited to exterior work either. Whether you want a split-stone granite wall in the kitchen or need help installing traditional brick masonry on your fireplace facade, you’ll want a professional to get it right. If you’re already working with an architect or designer, he or she may be able to suggest a good Wilmington, DE subcontractor to help out. Here are some related professionals and vendors to complement the work of stone, pavers & concrete: Landscape Architects & Landscape Designers, Architects & Building Designers, Garden & Landscape Supplies, Driveways & Paving, Siding & Exteriors. Find stone, paver and concrete professionals on Houzz. Search the Houzz Professionals section for Wilmington, DE stone, paver and concrete professionals. Browse photos and read reviews, and contact a pro if you like their work.